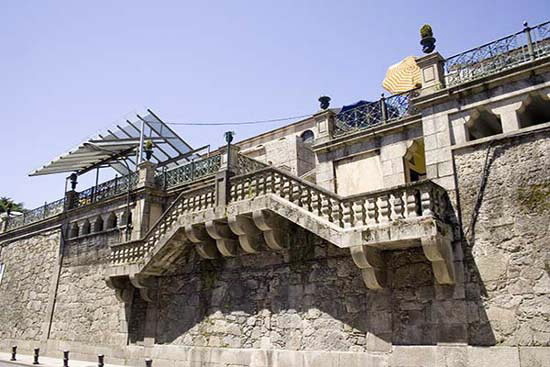 In 1941, the architect Joaquín Vaquero Palacios built the new Mercado de Abastos (fresh food market) in the eclectic style. 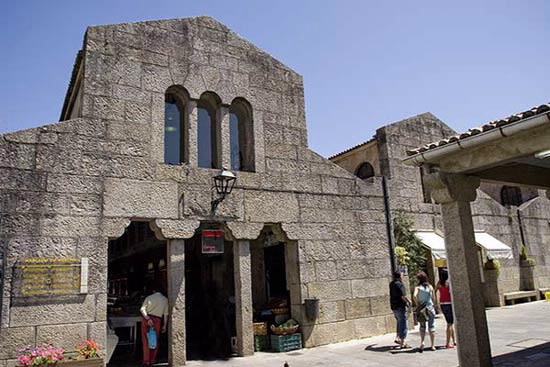 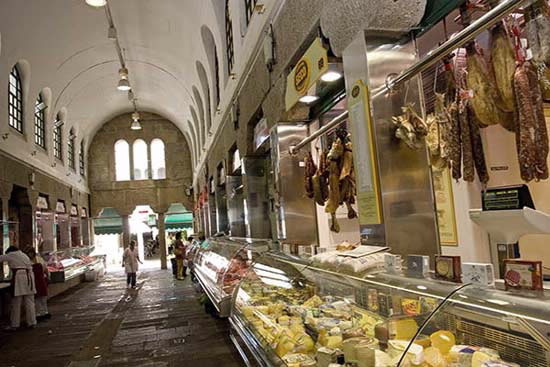 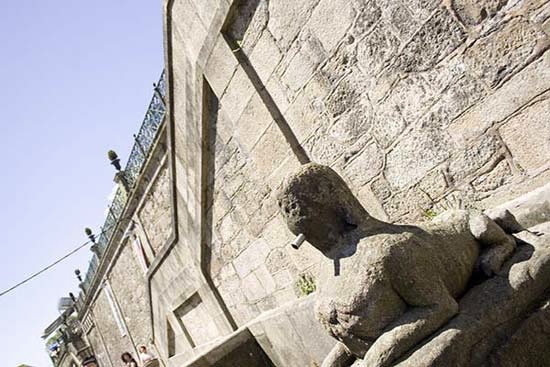 The granite paving and the big wall overlooking Virxe da Cerca street were used from the 1873 market. 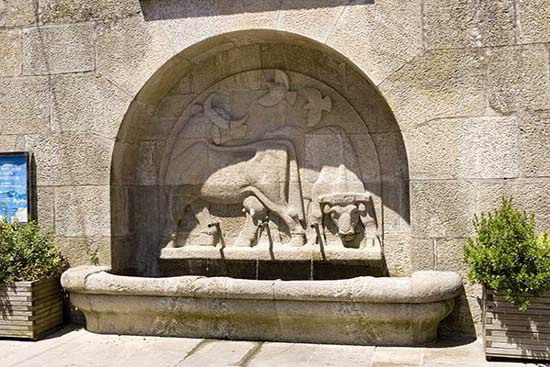 The ground plan is composed of two squares divided into eight sections which open onto a central square with a fountain. 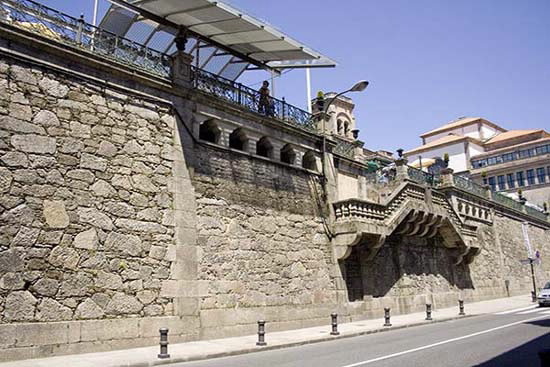 It was executed in granite masonry and the roofs are cannon vaults with tiled exterior; on either side, on the stands, large half-point windows open, affording great luminosity to the interior spaces. 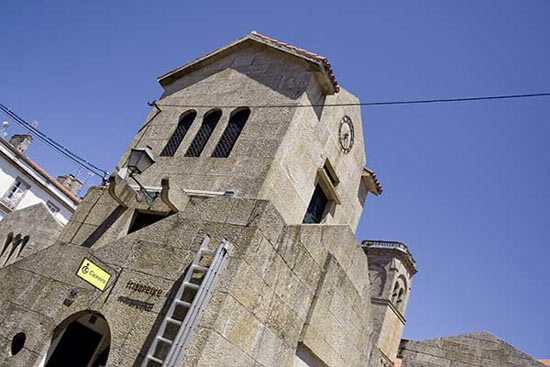 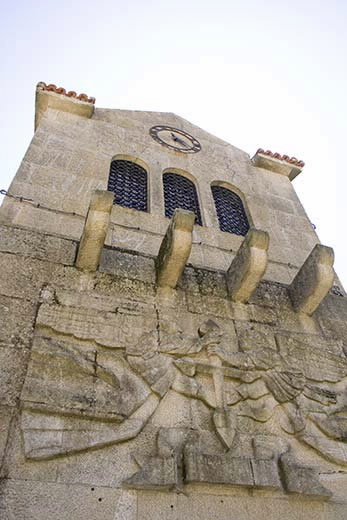 The entrance to each section is reminiscent of the facades of Romanesque chapels.